The term commodity broker includes many different market participants from a regulatory point of view these days. The classic definition is a firm or an individual that executes orders to buy or sell commodity futures contracts, options or similar derivatives on behalf of clients. Commodity brokers charge a commission for their services. The clients of a commodity broker are either hedgers who use commodity contracts to manage financial risk or investors, traders or speculators who assume price risk from others in hopes of profits. If a firm or individual trades for their own account this classifies them as a trader rather than a broker. These brokers have been around for the longest time in commodity markets. They act as intermediaries between buyers and sellers of actual physical raw materials. Buyers and sellers use this type of broker to preserve anonymity when they are transacting in the physical markets. These brokers operate in the over-the-counter markets to bring together buyers and sellers of OTC contracts. Many OTC brokers operated on an unregulated basis prior to the Dodd Frank Wall Street Reform and Consumer Protection Act of 2010. Today the OTC markets in the United States fall under the supervision of the CFTC who regulates these markets in the same fashion as futures, options on futures and other financial derivative markets. These individuals trade commodity futures and options contracts on the floor of a commodities exchange. When these individuals execute buying or selling orders for customers they act as brokers. However, when they buy or sell for their own account they act as traders. Therefore, these individuals play a dual role in the markets. As many commodity futures markets have moved from pit or floor trading to electronic trading platforms, the role and numbers of floor brokers or traders have declined over recent years. The FCM is an individual or a firm that solicits and/or accepts orders to buy and sell futures and options contracts traded on exchanges. In addition, the FCM holds the client funds required to margin market positions. The IB solicits and accepts orders to buy and sell futures and options contracts traded on exchanges, but they do not collect any funds from the customers. The IB works together with an FCM who collects customer funds for margin purposes. The CTA is a firm or individual that advises customers on the trading of commodity futures or options contracts for compensation. CTA's exercise discretion (via power of attorney) over customer accounts, however, like an IB CTA's work together with an FCM who collects customer funds for margin purposes. In the world of commodities, a commodity pool operates like a mutual fund. These market participants can be an individual or a firm and like IB's and CTA's they work together with an FCM. These market participants can be employees, partners or officers of a FCM, IB, CTA or CPO. The CFTC requires that RCRs and APs register with the NFA. In all cases, a single individual or a firm may be registered and operate in more than one capacity. With very few exceptions, professionals in the commodity world must register with the NFA and CFTC and must pass the Series 3 exam. The exam tests for proficiency in these markets from both a practical and regulatory perspective. 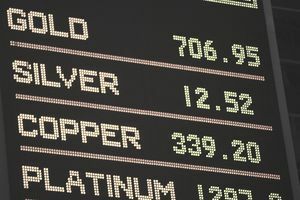 The role of the commodity broker has been around for a long time -- these market participants began as physical brokers, but today most are involved in the derivative markets. Those who execute orders to buy or sell and receive a commission for their services are commodity brokers. Commodity brokers are matchmakers, bringing buyers and sellers together on commodity exchanges and in related derivative and even physical markets. Want to Become a Commodity Broker?